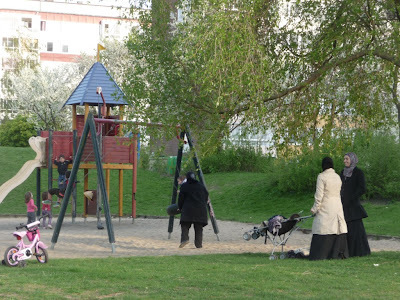 In Sweden, the clichés about violence and insecurity stick to the skin Rosengård, a district of the city of Malmö. Fantasies widely disseminated by the media, and who served the extreme right, very popular in this part of the country. Malmö is the third largest city in Sweden. Located on the North Sea, and close to Copenhagen, it is a popular destination for summer tourists. Its small port, a green area, pedestrian streets ... Malmö attracted by its calm and quality of life. Yet for many Swedes, the city also symbolizes a failure to integrate immigrants. Of the 300 000 inhabitants, almost 25% are from immigrant families. Most of them live in the city of Rosengård, one of the ten districts of the city. An area which, in the collective imagination of the Swedes, is facing a daily urban violence. 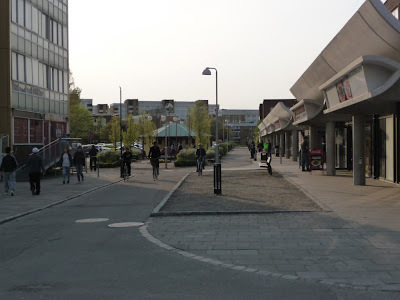 Various incidents in 2003 and 2008, gave the "Rose Garden" (French translation of Rosengård) looks like a Scandinavian Bronx. "Media coverage has helped the extreme right to win votes. " The original building burned in 2003, after the owner refused to rent to the Muslim community. What the media have chosen: a dispute over a mosque. Optical illusion, objects Listerborn Carina, a researcher at Malmö University: "I interviewed the young. The religious question is not an issue, they just wanted to fight with the police. " Since then, the far-right party the Sweden Democrats (SD) used the bad reputation of the neighborhood to thrive. "It is clear that media coverage has helped the SD to win votes, says political scientist Anders Hellström. Rosengård is a symbol of multiculturalism and immigration and reports that deal with violence in this neighborhood tend to link the two. " The Sweden Democrats are now well established in the city of Malmö, with over 11% of the seats in municipal council. The most cosmopolitan city of Sweden then drags a terrible image. From Stockholm to Gothenburg, Sweden all know that name. And the vast majority of passers-by are hard and black a picture, where the words "immigrant" and "violence" coexist. As if they were intrinsically linked. Olivier Truc, the correspondent of the World to Scandinavia, the explanation lies in two factors: the low level of tolerance for "deviant" in Sweden, and the media. They have played a major role in this fantasy of violence that sticks to the skin Rosengård. By 2003, a report by Fox News goes around the world. Images of burning buildings, of young people who throw Molotov cocktails, with words like "civil war" and "chaos" ... The reporter Steve Harrigan leaves no chance to the little town. However, several years ago that happens much more in the city. "But, laments Anna Lundberg, the press never writes about what's positive here." This teacher of 29 years has taught last year in one of four schools in the district. "This is a wonderful place for so many different reasons, she insists. The atmosphere, multiculturalism, children ... I loved working there. " And after five days wandering through the neighborhood much-maligned, the images that remain are those of a quiet corner. Children running in the aisles, moms who watch their kids, a shopping center, bicycles ... People also have more than enough of the media treatment reserved for them.